One of our friend Chithra suggested me to try a Gujarati-Rajasthani Restaurant called Mathsuk's at T.Nagar. The day after she suggested i went there, as i love Rajasthani - Gujarati Food's. The Restaurant offered lots of sweets and snacks, of the Rajasthani and Gujarati state. Needless to say, the stuffed parathas, Kadhi's were so Good and the price was also reasonable. 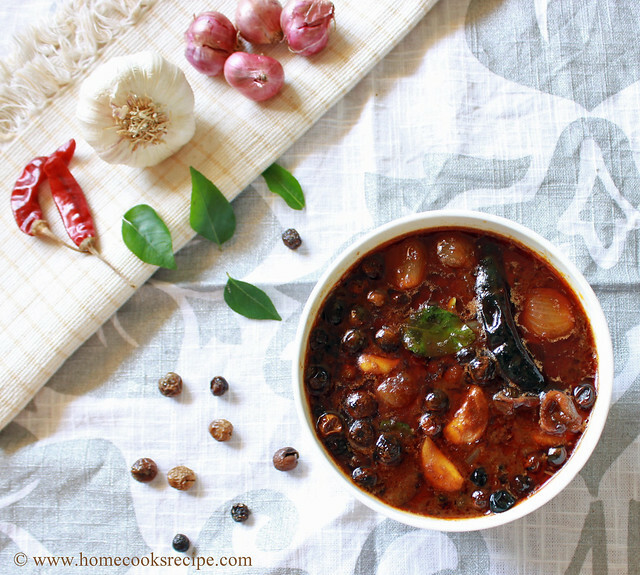 and there i tasted this Bhindi Kadhi, it tastes like our Vendakaai Morkuzhambu.I liked it so much and wanted to try at home, and its here now. 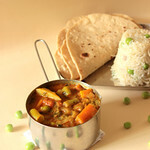 Recipe Source: Sanjeev Kapoor's Dal and Kadhi Book. Mix all the above Ingredients together and keep aside. Heat a tbsp of Oil in a Skillet, add mustard and let it pop. then add fenugreek seeds and let it fry. Now add the chopped Green chilli's, Garlic and Ginger and Fry them, till they change into Golden Colour. Now add the Whisked / Mixed Curd-Besan Flour mixture to the skillet and slow the flame. let the mixture come to boil in slow flame. it will take some 5-7 minutes. Now add the fried Bhindi's and let the Kadhi sit on slow flame for another 2-3 minutes. 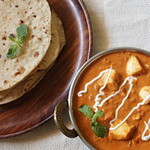 Remove the Kadhi from flame and add chopped corriander leaves as garnish and serve hot with Rice or Roti's /Chapathi's. Do try this Kadhi and enjoy as we did. 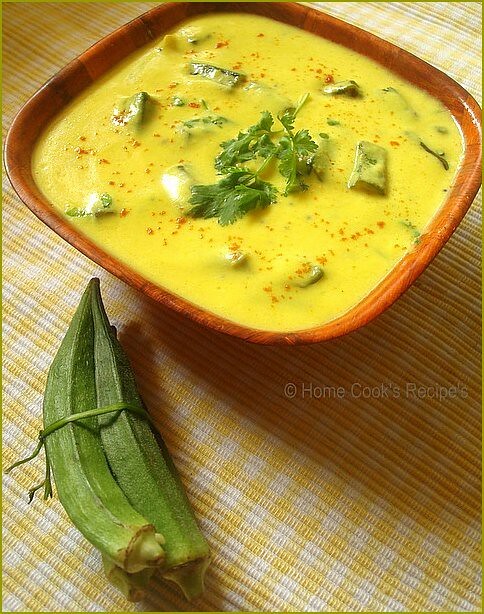 tempting and mouth watering kadhi. 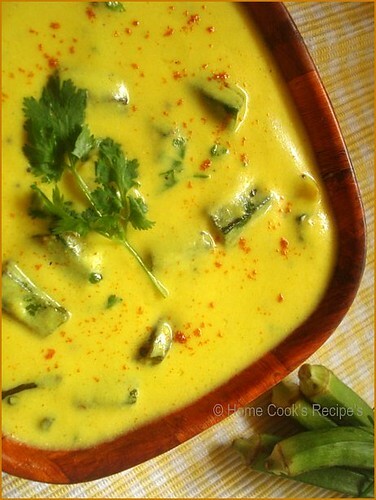 Gorgeous kadhi makes me hungry...looks fantastic..
Bhindi kadhi looks colorful and delicious. Lavi, the pic is soooooooo tempting, that is a nice touch of adding fried bhindi to it. Will surely try it sometime. Wanted to try this kadhi since a long time! !Thanks for sharing!! I am drooling at the pic it looks wonderful and tasty.I love kadhi but I make mine with spinach instead of okra. V tempting.. I can relate it to the one we get at the Rajdhani restaurants ! Such a beutiful colourn have to admit okra is not my fav vegg but like this i am sure i wil love it. the pic itself saying the deliciousness of this lovely dish so yummy..
Nice colour, Lavi. Have you tried the Guj-Rajasthani thali at Rangoli (Pondy Bazaar)? It is really, really good. 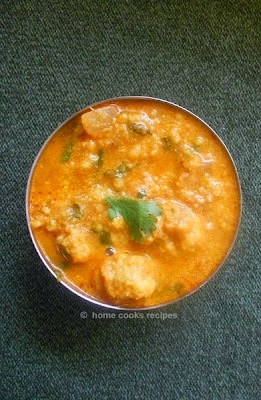 Kadhi looks so delicious, very inviting pics! Wow wonderful combination of Kudi and bhindi. I like this. Thanks fr sharing.